The Dayton products come from a pedigree of DIY and pro audio, where performance and durability are prerequisites. The value of this entire line of subs is evident. 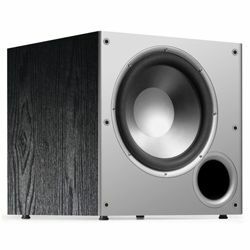 This cheap little sub can rattle a smaller house apart if you want it to. If you put Dayton Audio SUB-800 on a hard floor it will transfer right through thanks to the down firing port. There's a reason it comes out of the box with the phase set to 180°, that port will use your floor to make a lot more bass, even if it is a bit muddier. 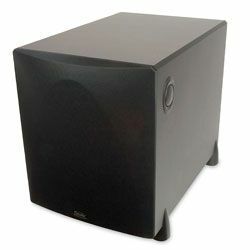 Read even more about subwoofer’s features in Dayton Audio SUB-800 review. The cabinet is solidly built and looks great. No cheap craftsmanship here. The only thing that should be noticed concerned about is the speaker surround. It's really stiff foam, would have preferred rubber for longevity. For the price, this is an awesome sub. It's a heavy little thing. Fit and finish are of great quality. For its size and price point is a great deal. It will not hit those super low sub 30 htz note but it is not intended to. 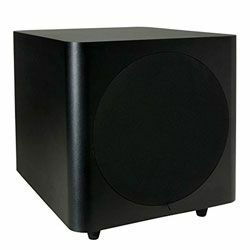 It is perfect for smaller 2.1 or 5.1 system for both music or movies. Great performance and compact size. The bass notes come out clean and tight. It goes relatively deep and is surprisingly musical. SUB-800 specs perform really well in movies too. Highly recommended for those who are working with limited space, but still want clean, deep, and accurate bass. The pulled off Velcro attached grill reveals a hearty stiff driver with durable thick rolled surround presumably formed from foam. It has the look of quality for a product in this range. The rear plate amplifier has all the necessary connections and the controls have a feel of quality. Spring clips are the norm for this price point. I tried Y cabling with one RCA Subwoofer Out from receiver to 2 RCA in on subwoofer. Auto on works flawlessly at the low volume. 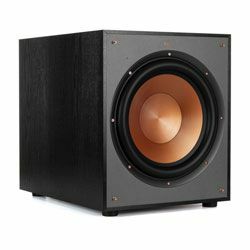 At medium volume, this little sub puts out bass that is remarkably clean and precise down to the lowest notes on the Cambridge pipe organ. String bass sounds like it's right in the room. For a small space (condo), the output of this 8" sub is more than enough, even with less than optimal placement. If you are looking to fill a larger space, Dayton also makes 10" and 12" models. 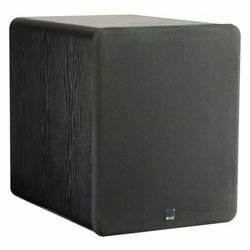 Good sounding, inexpensive sub for a smaller room when used at a lower volume. The sound quality is much better than can expect for $100. 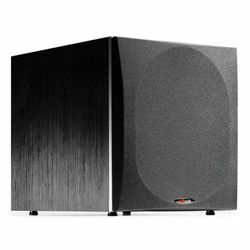 The mix of high and low inputs and outputs makes this perfect as a base unit for an office sound system. It can be described as a budget audiophile's dream. 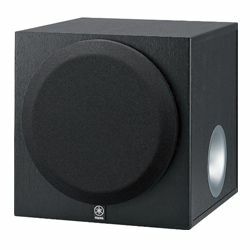 Easy SUB-800 setup and able to sculpt your lower end to your liking with the gain and crossover. As the instructions suggest though, you will definitely need to put it in a corner for it to have enough "oomph" in a reasonably sized room, so make sure your layout will allow for this. Also, the 'auto-on' feature doesn't seem to work very well with Dayton Audio SUB-800 settings, in that unless you have the volume turned way up the signal often isn't strong enough to trigger the unit to come on.